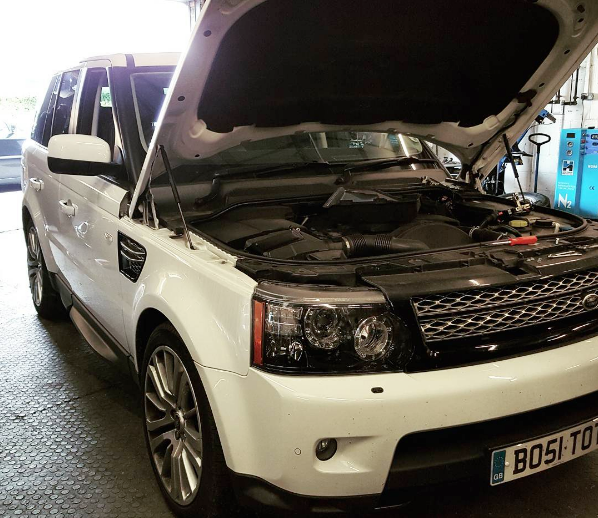 Range Rover Sport 3.0 SDV6 in today. This customer phoned up telling a story we’ve heard too many times. The SDV6 having such a large amount of lag off the line its dangerous and Land Rover having had the vehicle back numerous times and unable to resolve the issue. Problem is they can’t fix it at the dealership. The problem lies with inherent issues with the stock maps even on the latest Land Rover software update. Thankfully we have developed a performance tune that combats this problem and provides a hugely more responsive drive, as it should have been from factory. This entry was posted in General and tagged discovery 3, discovery 3 tdv6, discovery 4, discovery 4 sdv6, ecu, land rover, range rover, remap, remapping, sdv6 lag, tdv6 lag, tuning, turbo lag. Bookmark the permalink.